This Facilitator Training will equip you to lead a Crown small group with confidence — regardless of which study you choose. Whether you are leading by yourself or with a co-facilitator, you will find beneficial information in this training to help you disciple members of your group with wisdom and compassion. Choosing the right small group materials. 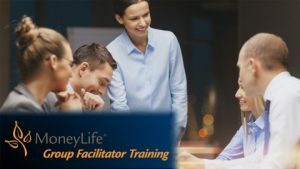 MoneyLife Facilitator Training is optional. There are no prerequisites, and you are not required to go through the training in order to lead a Crown study. To access the training presentation and videos, please click on the links below. Upon completion of this training, you can download and print an associated Certificate of Achievement.